Ideal for coaching adults in any workplace environment. Coaching becomes interactive, immediately engaging and rewarding for both coach and client. 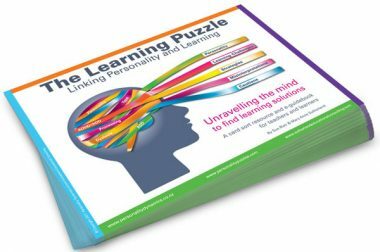 Linking Personality and Learning. 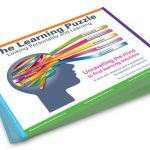 Unravelling the mind to find learning solutions. A card sort resource and for teachers and learners. 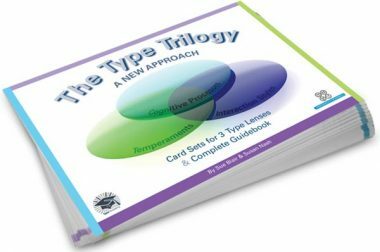 takes an understanding of Type basics to another level, offering wide ranging opportunities to focus on in-depth personal development. 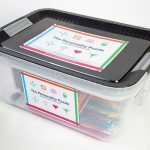 A six-lesson classroom kit to enable teachers to teach students about personality preferences and encourages conversations around people differences. 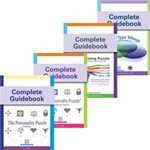 Card sort resources for coaching and guidance using psychological type. Ideal for coaching adults. Can be used for Type identification, verification and exploration. Simple, accurate and effective. Careers cards are included. Ideal for working with students and youth on self-awareness and career direction. For group work please see details about The Personality Puzzle Box. Ideal for all educators in schools and beyond. Helping each student to thrive is so important. Knowing what you need as a learner is life-changing. We are all life-long learners. Ideal for coaching beyond knowing a type code to what this actually means in your life; appreciating diversity and reacting to support the needs of others. 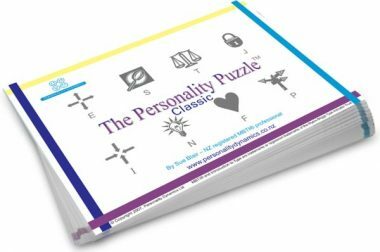 Maximising the potential of The Personality Puzzle resources. Sue can offer training to use any of these resources. She has run workshops for hundreds of clients to help them understand Type concepts to a level they feel comfortable using the products. One-on-one, small group or Skype and FaceTime options are also available. The most advantageous time to learn about Type is when you are young. 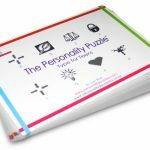 The Personality Puzzle Box is a 6-lesson classroom tool kit containing everything you need to teach classes of up to 30 students. The learning is phenomenal and so rewarding. Testimonials for The Personality Puzzle. In my 20 years of working with personality types I've tried lots of different ways of doing type interpretations. 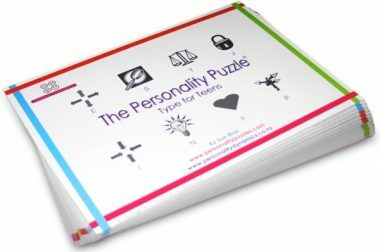 I have to say that The Personality Puzzle is my absolute favourite way to interact one-on-one with clients to help them discover who they are. 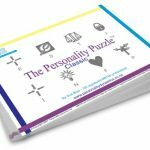 It's seeing the light going on for teenagers that makes the Personality Puzzle - Type for Teens worth its weight in gold! LOVE USING THIS APPROACH!!! This has really shifted my focus as a trainer and type user from bringing people through the traditional exercises towards a whole type approach. Thank you Susan and Sue! Myers-Briggs® and MBTI® are trademarks or registered trademarks of The Myers & Briggs Foundation. Website by Dynamic Web Solutions Ltd.